Many people find contemplating or planning for their own death depressing. The idea of finality and loss is painful and, therefore, something they try to avoid. However, estate planning is not just about death. 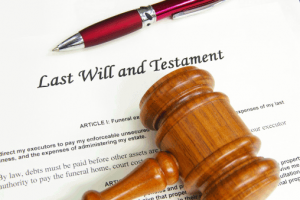 Most people consider estate planning the process by which individuals plan to leave their assets to whom they want, when they want, in the way they want. While that statement is true, it is incomplete, since many individuals today still have estate plans that cover the short and long term plan and also provide for their families. Whether they have plans for the way their children should be taken care of, wish to reduce the burden of taxes on their heirs, maximize retirement income during their lifetime, or plan for a period of incapacity or illness, there is a need to engage in estate planning. Only through careful planning can you ensure that your assets are distributed according to your wishes. For most people, this means preparing a plan to transfer personal property to family members or charitable causes without delay or unnecessary expense for the recipients of those assets after death. They can also plan for their incapacity, such as if they are in an accident or become ill and can no longer take care of their own affairs. Estate plans are not a single document, but rather a whole collection of documents that one puts together to deal with a variety of circumstances. The federal estate tax on an individual’s estate could change each year as the IRS announces the estate limit taxes. Setting up an estate plan can help you save money on estate taxes and defer the need to pay estate tax for as long as possible. However, it is important to consult with an experienced New York estate lawyer to plan for a smooth transfer of assets to your husband or wife, children, your grandchildren, other family members, or your favorite charity. Minimizing or Avoiding NY Estate Taxes – Our office will assist you in creating a plan which can minimize or create the tools to assist you in avoiding estate taxes. The various tools available allow you to set up trusts (bypass trusts, credit shelter trusts, charitable trusts, life insurance trusts, AB trusts) or form a company to hold your family’s wealth, estate tax free. Setting up an annuity to help you capitalize on your long-term gains is another option we can implement on your behalf. Protecting Your Assets – If your goal is asset protection, our office will assist you in preserving your wealth and reducing the risk of losing all your personal belongings to creditors. While addressing your needs, we assist you in setting up asset protection sources, such as trusts, family owned companies, and annuities. By setting up an irrevocable trust, you are giving up control and access to your assets, allowing the trust assets to remain out of the reach of your creditor or unavailable as your resource for Medicaid planning. However, family members can be beneficiaries of an irrevocable trust, thereby still providing them with financial support that is outside the reach of creditors.The various irrevocable trusts can be created for the benefit of a surviving spouse or other beneficiaries after you, as the owner of a Revocable Living Trust, die and can be designed to offer asset protection for the trust beneficiaries. Provide for Minors or the Disabled – Having minor children will create many difficult situations and compromises that can be avoided if you give guardianship directions and set up a trust on the children’s behalf. If you are disabled, there may be a need to set up a special needs trust (also known as supplemental needs trust) to avoid losing government benefits such as SSI and Medicaid after inheriting an estate or settling a lawsuit. If you would like to discuss your estate planning needs, you can contact our estate lawyer at 718-324-0404 in New York City, 845-849-9201 in Poughkeepsie, NY, use the form below, or email us at info@DironRuttyLLC.com.